We are thrilled to inform our MySQL users that fresh and new dbForge Studio for MySQL, v8.1 has been just rolled out! 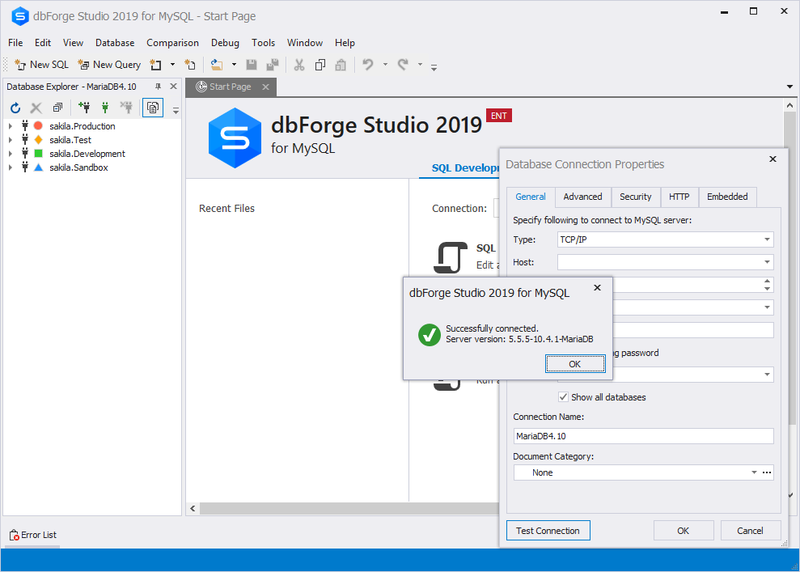 To ensure that the users of dbForge Studio for MySQL can work with the most up-to-date database engines, we keep expanding connectivity options for our MySQL management tool. In this version, we have extended the MariaDB connectivity options with the connectivity support for the latest MariaDB 10.4. We welcome you to try the new version of dbForge Studio for MySQL and share your thoughts about the release with us. This will help us improve the tool as per with your needs!